Farmington offers innumerable trails and diverse landscapes perfect for a variety of motorized activities year round. 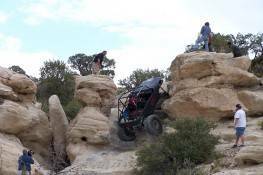 Local off roading enthusiasts, and others from across the U.S. have enjoyed off roading in and near Farmington for more than 40 years. 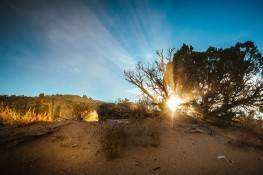 Thousands of acres of public land offers riders sandy arroyos, large sand dunes, steep hills, miles of trails and challenging slick rock for rock crawling. 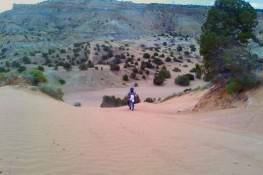 From the nationally rated Chokecherry Canyon to Dunes Vehicle Recreation Area and Head Canyon, Farmington offers experienced and newbie riders a sweet taste of the 4x4 life! In an effort to grant easy access to the phenomenal off roading and rock crawling trails in Farmington, City Ordinance 2016-1286 was adopted in 2016 authorizing some off-highway recreational vehicles to be operated on city streets. The ordinance permits side by side off road recreation vehicles (with a steering wheel, roll cage, and seat belts) on most streets in Farmington. ROVs are not permitted on Highways, this includes Main Street, Broadway and La Plata Highway. At this time, ATVs are not permitted. Maximum speed allowed for an ROV is 45 MPH, or the posted speed, whichever is lower. To make your ROV street legal, owners must be a licensed driver in good standing and insure and register their ROV. Drivers under the age of 18 must wear a DOT approved helmet and eye protection. ROVs must be equipped with: illuminated speedometer, horn, muffler, headlights, break-lights, blinkers, side mirrors. Contact the Farmington CVB for additional information, 505-326-7602.